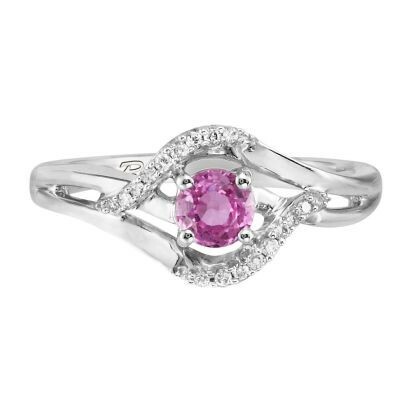 Pink sapphire center is accented with diamonds in this lovely white gold ring. Perfect for Valentine’s Day or any day! 0.34 CT Pink Sapphire Heat Treated 0.11 TW Diamonds.